Los Angeles Sheriff's Deputy Mark Pope said investigators made contact with the late Michael Jackson's mother Katherine Jackson, but he did not have specifics on her whereabouts. Authorities said Sunday they believe Katherine Jackson, the mother of Michael Jackson and the guardian of his three minor children, is safe in Arizona with family members after she had earlier been reported missing. Los Angeles Sheriff's Deputy Mark Pope said investigators made contact with Jackson, but he did not have specifics on her whereabouts. The agency previously said they believed she was with a relative and safe but wanted to speak with her. Katherine Jackson's son Jermaine Jackson said in a statement Sunday that she is with her daughter Rebbie in Arizona and following a doctor's orders to "de-stress" and avoid the phone and computers. He said access to her was not being blocked. The disclosure came after another concerned family member officially reported her missing Saturday night amid a dispute over the estate of her superstar son. The Jackson family matriarch was reported missing by a relative on Saturday night. Sheriff's officials later said they believe the 82-year-old is in Arizona with a relative, but that they were still trying to establish contact with her. Katherine Jackson's whereabouts caused concern for some family members in recent days, and her granddaughter Paris Jackson issued a frantic plea on Twitter early Sunday. "I haven't spoken with her in a week I want her home now," she posted from her Twitter account. She also tweeted a number for people to contact in case they saw her grandmother. Katherine Jackson also hadn't been in contact with her attorneys, who worked Sunday to learn more information about her whereabouts and why she had suddenly become incommunicado, including with her grandchildren. "First of all, let's hope that this is all just a big misunderstanding and a totally benign situation," her attorney Perry Sanders Jr. said Sunday. "Assuming that she did actually leave on doctor's orders, no matter which doctor, it has certainly created an absolutely irregular situation whereby she has been out of contact with her grandchildren." The family drama unfolded days after it was revealed that some of Katherine Jackson's children had written a letter to the executors of Michael Jackson's estate, alleging his will, which left his fortune to his children, his mother and charity, was a fake. The legitimacy of the letter was confirmed by Randy Jackson on Twitter, and Janet Jackson retweeted his post. The estate has denied the accusations. 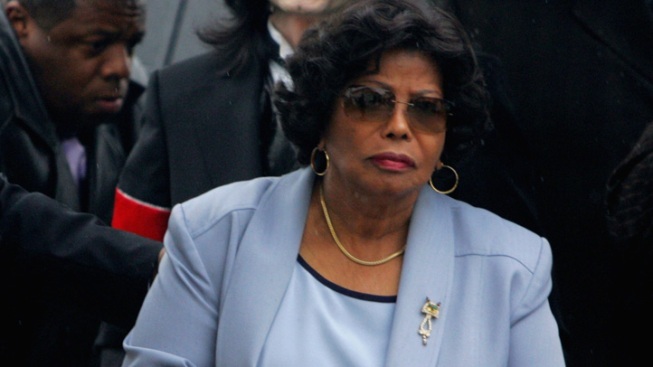 Katherine Jackson obtained permission from a judge to probe the validity of her son's will, but never pursued the matter in court. On Friday, Jermaine Jackson tweeted that his mother was resting on the orders of a doctor in Arizona. "This is our mother and her health is paramount. We are not inventing or plotting anything," he posted. "We are following doctor's advice. Period." Conrad Murray was convicted of involuntary manslaughter for the June 2009 propofol overdose death of Jackson at age 50. Katherine Jackson has been caring for Paris, Prince Michael and Blanket Jackson since their father's death. It was unclear who is taking care of the children in her absence.